COPPELL, Texas (CBS/KTVT/AP) Police found Coppell, Texas Mayor Jayne Peters and her teenage daughter shot dead at their suburban Dallas home Tuesday evening in what investigators say may be a murder-suicide case. The Coppell city manager alerted police and sent them to Peters' home after the usually prompt mayor failed to appear at a regularly scheduled city council meeting, said CBS affiliate KTVT. When police arrived around 7:45 p.m. they found the bodies of Jayne Peters, 55 and her daughter Corrine Peters, 19. Both women had suffered gunshot wounds to the head. There was no sign of forced entry, according to city spokeswoman Sharon Logan. Though the cause of the shootings is unclear, investigators believe the mayor shot her daughter before turning the gun on herself. "Because we do not have all the facts and the investigation is not complete, we can not release any additional information," said Deputy Police Chief Steve Thomas. Residents were appalled by the deaths of their fellow community members. City Manager Clay Phillips said the deaths were "a tremendous loss for the city, the community and the region." 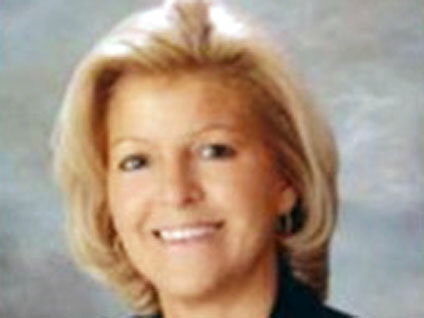 Jayne Peters was a contract software developer and was appointed mayor of the City of Coppell in May 2009, said KTVT. She had served as a council member since 1998. Her daughter, Corrine Peters, recently graduated from Coppell High School in May. Jayne and Corrine lived alone in their two-story home. The mayor's husband, Donald Peters, died from cancer in 2008. According to the Dallas County Medical Examiner's Office both autopsies have not been completed. The Coppell Police Department is working along with the Medical Examiner's Office in the investigation.